Arrest made in ATV thefts from CR 10 in the Stringer area as well as from CR 13 in the Louin area. 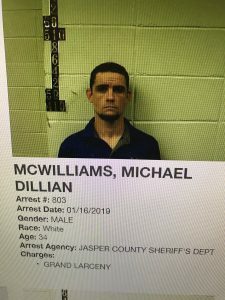 Three arrest have been made in connection with the thefts on CR 10 in Stringer Community, Burriel Sumrall from Jasper County, Michael Dillian McWilliams, and Donnie D. Jefcoat both from Jones County. 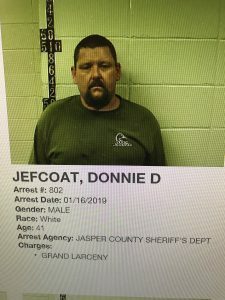 A warrant has also been issued for Robert Crews of Jones County in connection with this case. One arrest has been made in connection with the theft on CR 13, in the Louin Community. 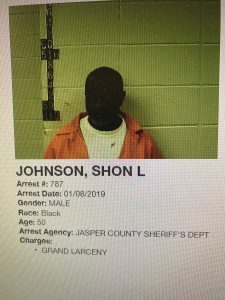 Shon L. Johnson of Newton County has been arrested and a warrant has been issued for David McIntosh of Newton County. 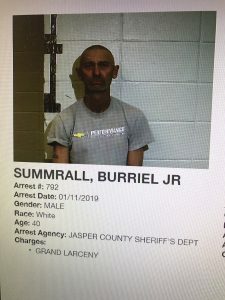 Sumrall, McWilliams and Johnson remain in Jasper County jail and Jefcoat has been picked up and transferred to the Jones County Adult Detention Facility.